Your range of motion is how far you can move a joint in different directions is determined by a few things: starting with the inner workings of the joints. Another determining factor of joint motion is how much tension are in the muscles surrounding the joint, which can be affected by by passive factors such as scarring your posture, or by active factors such as involuntary muscle spasms or purposeful muscle contractions. Joints are the junctions that link bones together. The architecture of each joint – that is, whether its structure is a hinge, pivot, or ball-in-socket – determines how the bones move in relation to one another. Tendons are flexible cords of strong tissue that connects the muscles to bones. Ligaments are tough, fibrous bands of tissue that connect bone to bone, or bone to cartilage, at a specific joint. An example is the anterior cruciate ligament (ACL), one of five ligaments that together control the movements of the knee. The ACL prevents the knee joint from rotating too far. 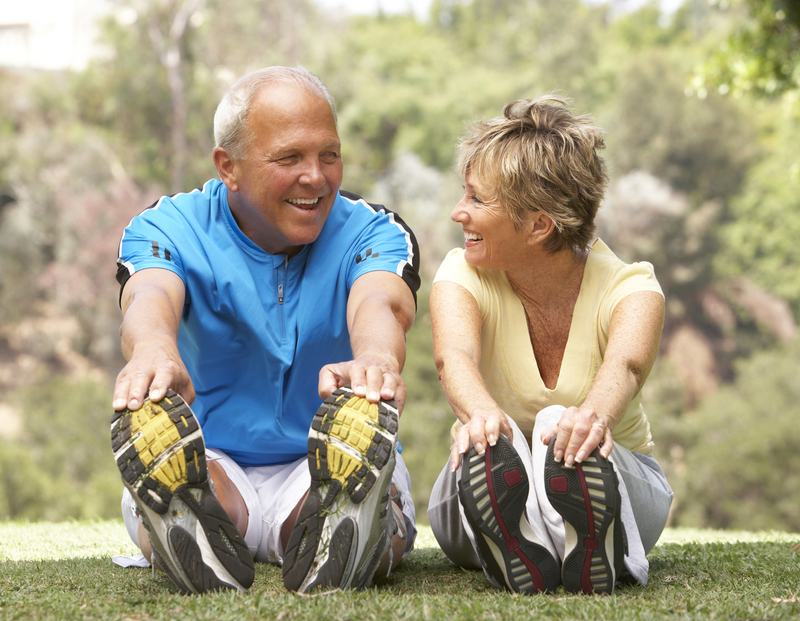 Stretching works the muscles and tendons, but not the ligaments. The ligaments are not supposed to be elastic. If a ligament was abnormally stretchy, it would not provide the stability and support you need for a safe and normal range of movement. This entry was posted in Uncategorized on July 10, 2018 by admin. 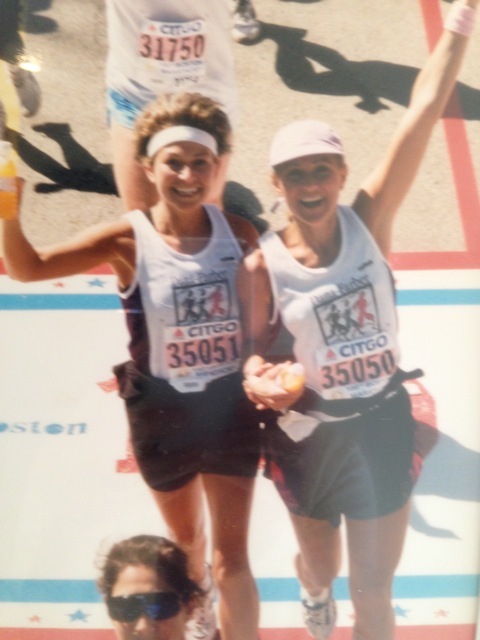 This is a photo of Susan and I running the 100 th year anniversary, Boston Marathon, April 15, 1996. It was an amazing day with record crowds and festivities. We finished in 4 hours feeling strong throughout the entire route. Helping us through the course were the supportive fans, especially the children with leukemia along the way thanking us for our support. We were part of the Dana Farber Charity team. Together the entire team raised money to support Dana Farber and their effort to better understand and treat cancer. The Claudia Adams Barr program an innovative Cancer research program has funded the pioneering, early-stage research of our young talented investigators. The scientist make steady progress toward new, enhanced therapies in the fight against cancer. We are proud to announce that once again we are part of the Dana Farber Charity team for Boston Marathon 2014. The challenge that awaits us on April 21, 2014 is nothing compared to the daily battle brought on by cancer afflicted children and adults. It is a great opportunity to help support the research fighting for a cure. Please visit our Dana Farber website for more information on how you can help. We greatly appreciate your support and generosity. This year is also meaningful in light of the Marathon bombing of 2013. It is an honor to run in support of all those people injured in that horrific event. BOSTON STRONG.